As the breeze becomes crisper and the leaves begin to fall, we may find ourselves yearning for a safe, comfortable place to go when pumpkin spice lattes are just not enough. Whether you are living on or off campus, the following are some tips to make your space feel cozy for autumn! Display artwork, photos, or even special items to add personal touches to your place. Whether it’s beloved family pictures, a poster, or a childhood keepsake, put them on display this fall to remind yourself of home and loved ones. 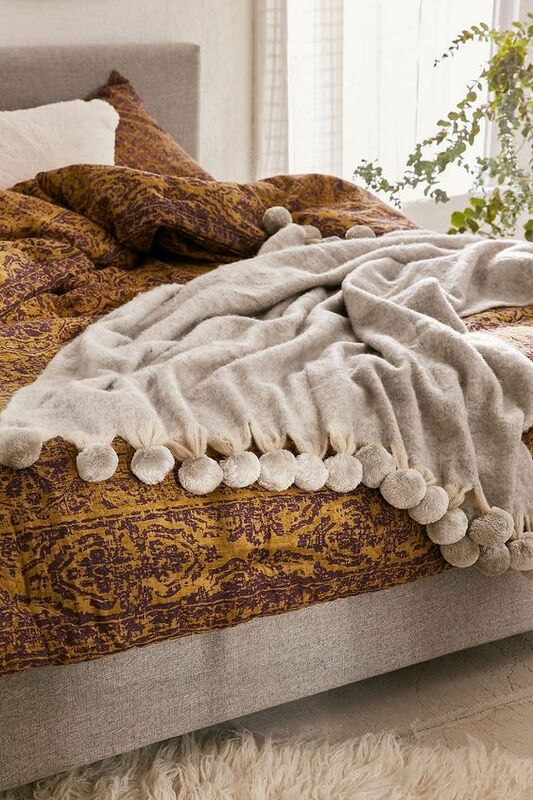 One of the best ways to make your space more cozy for the season is to bring out all of those seasonal blankets. Of course they are functional as the temperature drops, but when they are layered artfully, they can transform your space into a cuddly wonderland. Look for a textured woven throw or statement afghan to really add a functional, yet decorative, cozy touch to your space. Although I am a fan of lighter colors, it is undeniable that warmer colors make your space more cozy. It really draws the room together and creates ambiance. Look out for popular autumn colors like deep burgundy, burnt orange, and even warm gray. Although open concept living is very popular right now, it can sometimes feel cold and uninviting. Whether it’s arranging furniture to make a little reading nook, or even strategically hanging a tapestry in your bedroom, these small changes to give yourself a cozy personal space will end up making your home feel more comfortable. Lighting is the most important part of a space. Replace bleak, fluorescent lighting with string lights or warm lighting solutions. In addition to ambient lighting, don’t forget the all-important task lighting, such as a desk lamp. Don’t forget about task lighting, as it is very functional. Not only will this make your place feel more like home, but it will also boost your mood. If you happen to celebrate Halloween or Thanksgiving, you can find a plethora of seasonal decorations at many stores in Boston. But if you really wanted to add a personal touch, there are many DIY options on Pinterest— many of which are a fun activities to do with friends and family. Next time you have a guest over, offer them some hot apple cider or put out some Halloween candy to create a welcoming environment. Not only is it fun to have into the seasonal goodies around, but it will keep people coming over!